After celebrating its golden anniversary last year, the band plans an exciting programme of new events for the months ahead, to suit all ages and musical tastes. 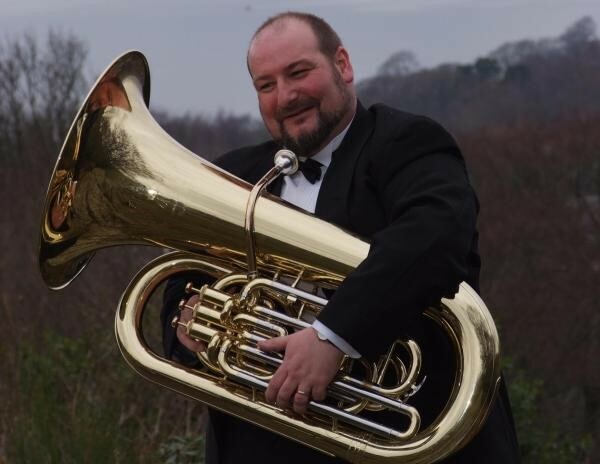 Jonathan – who takes over from Jim Quincey – joined KCB in 2013 playing the tuba. However, it was soon realised that his musical talents deserved much greater recognition. He now conducts the band and is challenging the members with a huge, fresh and modern repertoire to suit every audience. 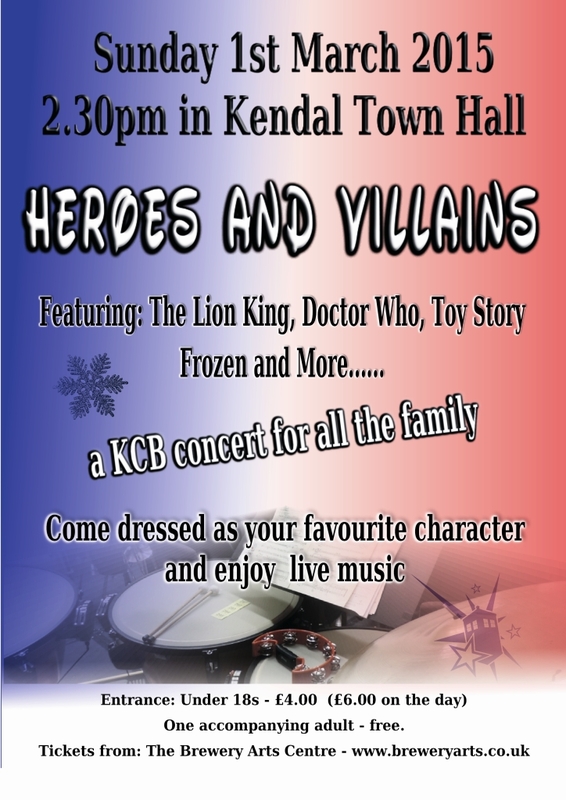 Apparently, his energy, expertise and passion for music are certainly rubbing off on the players as they rehearse hard for this season’s concerts, the first of which was a fun, relaxing and interactive family afternoon concert at Kendal Town Hall on Sunday, March 1 (2.30pm). The theme of the show was Heroes and Villains, with music taken from Frozen, The Lion King, Toy Story, Dr Who and various other well-known films. Children were encouraged to dress up as their favourite characters, take part in a quiz, meet the wind and brass instruments of a concert band and sing along to their favourite tunes.